The music and love continued. Always thinking of me, Angie sent this special Cherokee National Holiday t-shirt with a card signed, “Just because.” For years Angie has sent gifts ‘just because.’ It’s a wonderful thing to do to let people know you’re thinking of them; a wonderful example to follow, which I try to do. A few weeks ago, the stunning photo album below arrived in my mail unexpectedly, just like the t-shirt. She didn’t send a card that said “Just because,” but she might as well have, because that’s why she sent it. 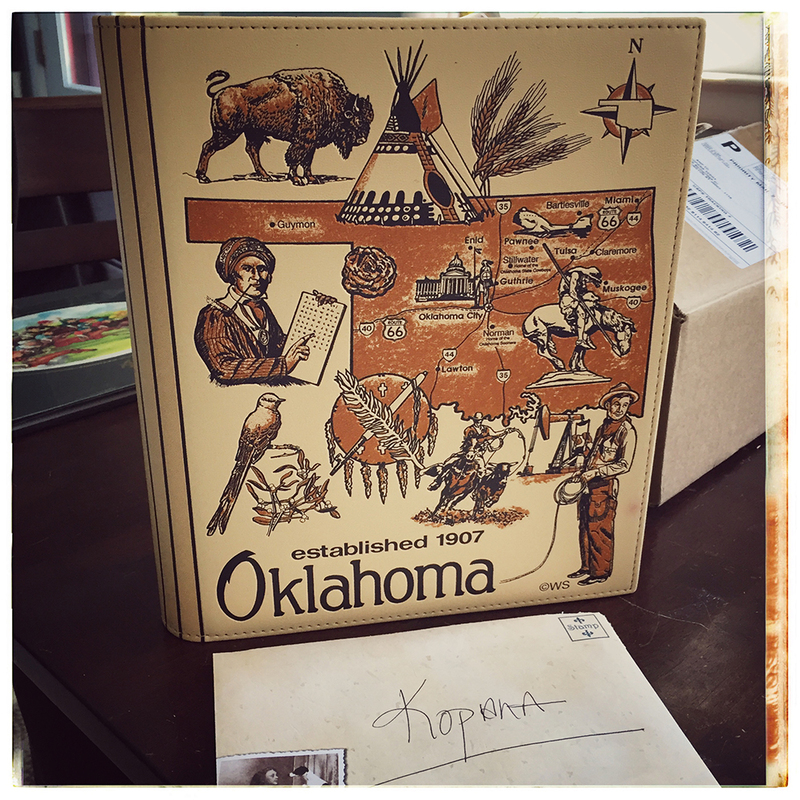 It reminded her of me, she thought it was cool, and so it came to live with me ‘just because.’ I’m going to fill it with pictures from Oklahoma (I have a few), and I might include a selfie in my new t-shirt. Thanks and love you, Angie Bliss Fanning, not only for the gifts, but just because. 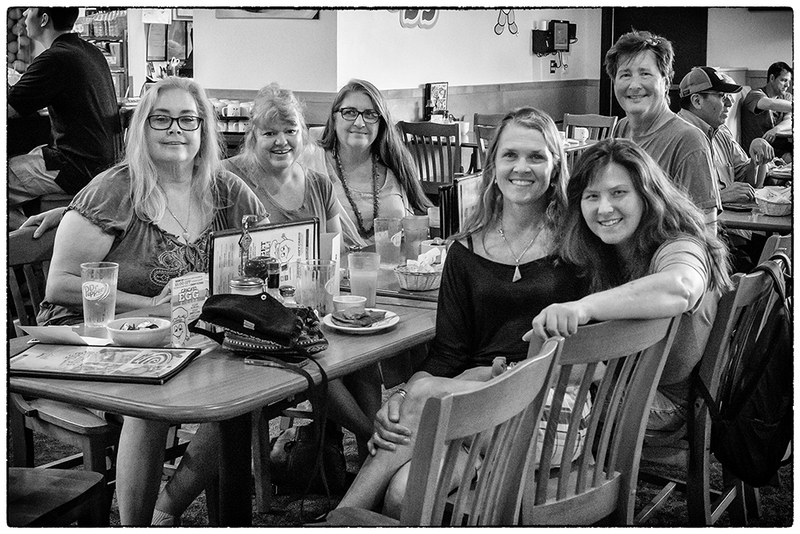 The picture below was taken last week by Angie Bliss Fanning after we had dinner with Barb Plested and Pam Thurman. Angie posted the photo on facebook, and someone unknown to me commented on my “Yale” t-shirt…adding that he personally preferred Duke. (He clearly didn’t realize I was from Kentucky) Anyway, earlier at dinner Barb also thought it said “Yale,” so when she read his comment, she didn’t feel quite so blind. It actually says “Y’all.” Stacy Yelton gave me the t-shirt for Christmas. They’re very popular in Kentucky at the moment made by the Lexington company Kentucky for Kentucky. There was a package in my mail this afternoon. I hadn’t ordered anything, but it had my name and address, so I opened it. 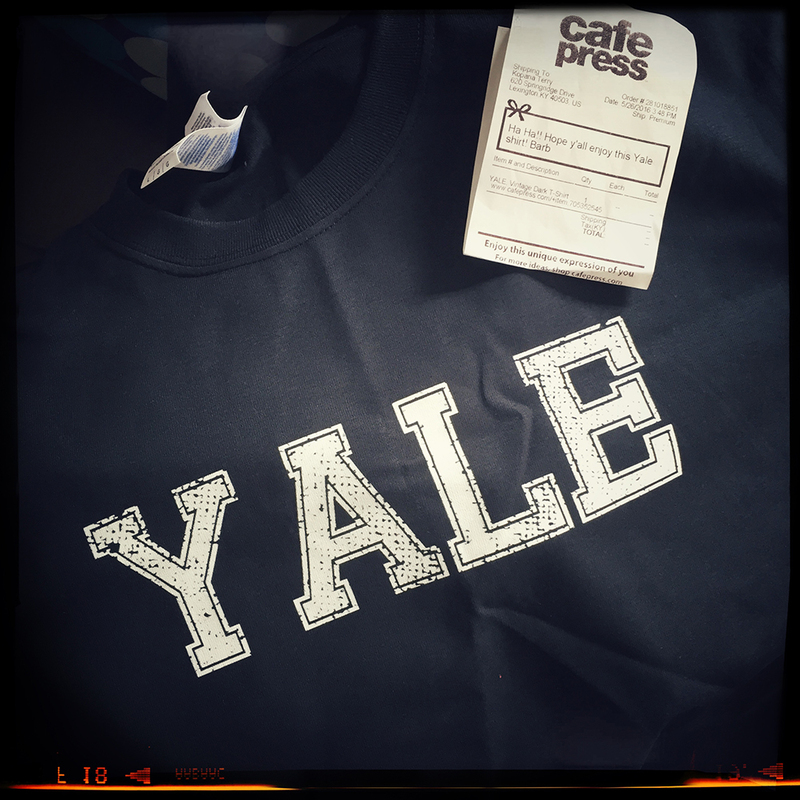 There it was: a Yale t-shirt. I laughed out loud for a good while before I called Barb to thank her and her accomplice, Pam. I also thanked her for not sending me a Duke shirt. Barb’s a keeper, Y’all! “Never blame anyone in your life. Good people give you happiness. Bad people give you experience. 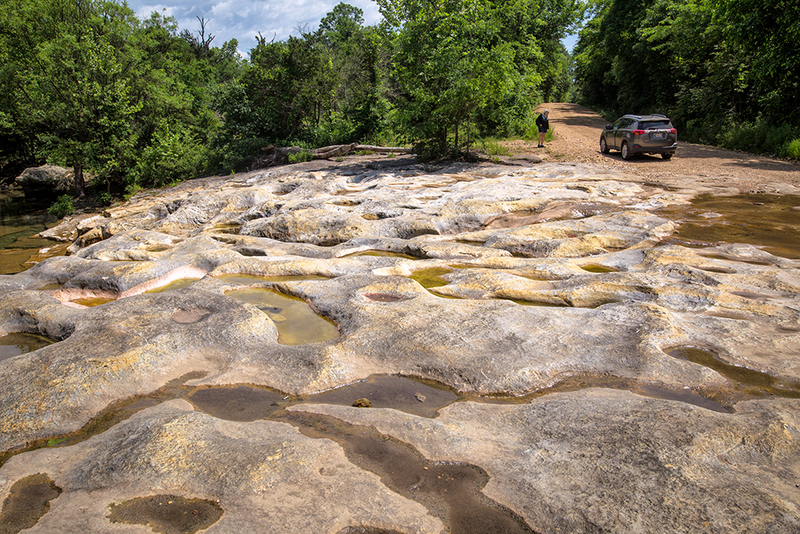 One of the places I used to go all the time when I lived in Oklahoma was The Tubs, also known as Bathtub Rock. This particular day they were running quite low. 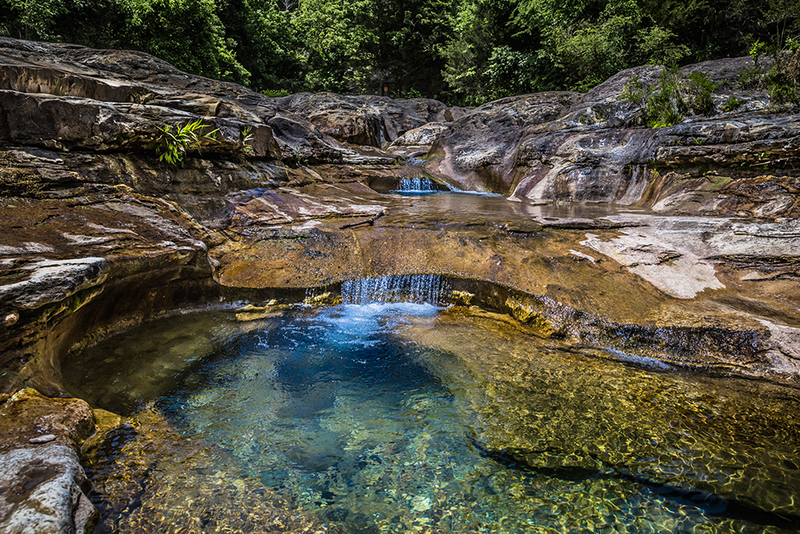 Nevertheless, the deep pool at the bottom was inviting, and oh, how I wished for water shoes and a change of clothes. I sure would have gotten in. Angie and I got lucky because the place is usually overrun with people, which was why I stopped going in the first place, but in the middle of the week there’s a better chance of having them all to one’s self. Some months ago two women vandalized the rocks with spray paint. 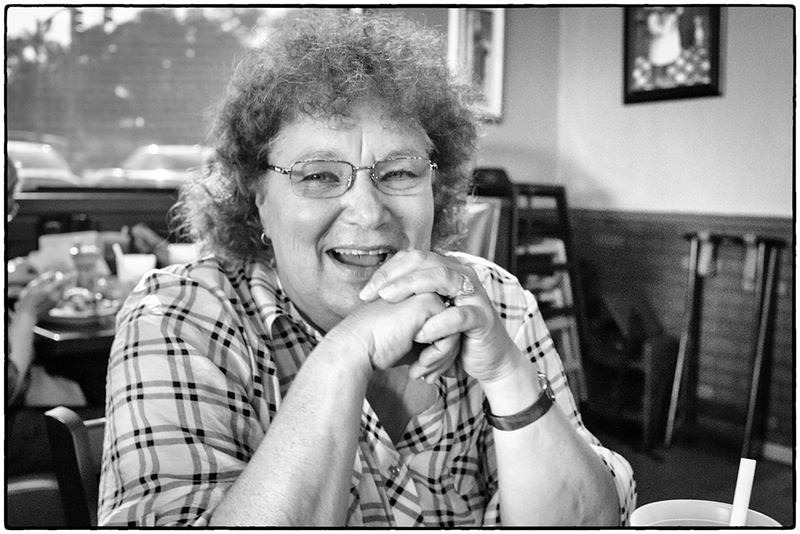 The community prevailed – I think Pam Kingfisher had a hand in it – and cleaned up the mess. I love The Tubs and I’m so thankful the people who get to enjoy them any time made right such a wrong. 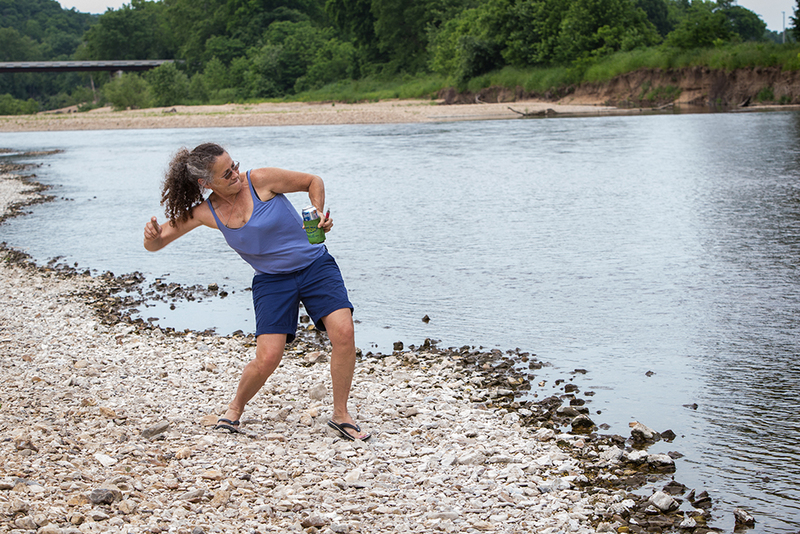 I promised you’d meet Shelly Womack and here she is skipping rocks on the Illinois River. Angie’s been telling me how awesome Shelly is for a while now. She was right. 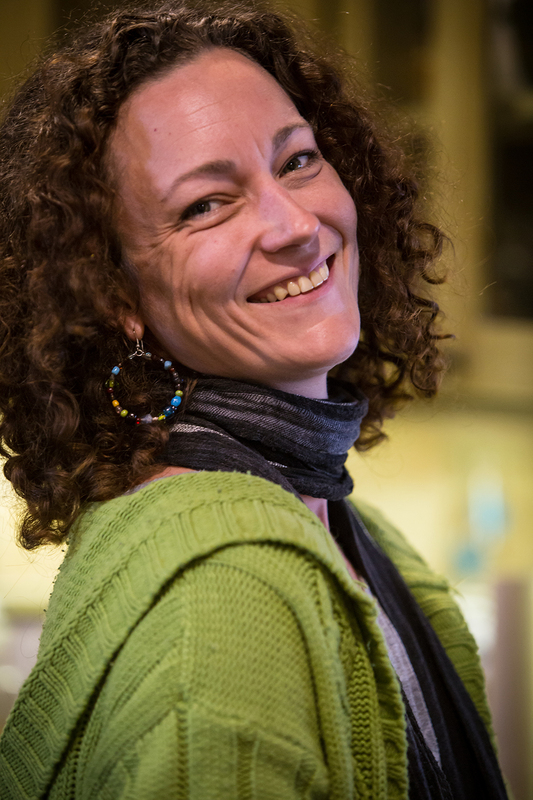 Shelly is extremely creative and very sweet with her time. After Jerry died, she made Angie a quilt from his old t-shirts. She’s even helping husband/partner Charlie Tannehill build their cabin at the Illinois River Village. Among Shelly’s gifts is the uncanny ability to see rocks with small holes. The Illinois River is full of small rocks with small holes drilled in them by the currents over God knows how many centuries. Without much effort, none at all that I could tell, Shelly can see them just by walking along the river’s edge. By the time we went back to her cabin my pockets were full of these holy (hol-e) rocks. I’ve brought them home and I’ll make something special from them that will always remind me of Shelly. 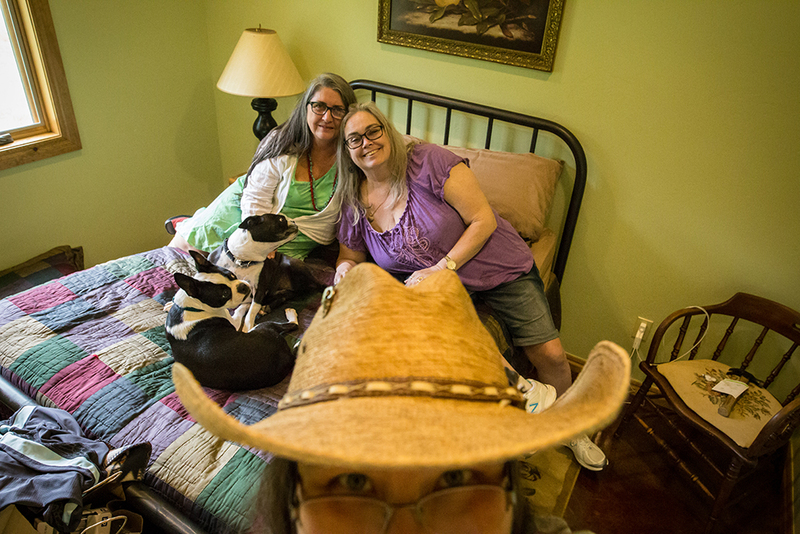 Before Angie and I had dinner with The Rickeys on Thursday, we spent the day with Pam Kingfisher. You might recall Pam was in Lexington back in January for a Field to Table food conference. I always have some of the best conversations with her and I was afraid I wasn’t going to get to see her this trip. But she made it happen and I’m grateful to her for that. She also brought Angie a beautiful birthday gift along with an old photo where Angie was glowingly beautiful. It was a picture from a time we spent together many years ago. I have known and loved these women a very long time. They’re such a blessing to my life. We started our day at Jimmy’s Egg (of course) where we met up with Robin Jackson, Steve Kirkpatrick, and Jean Havens. I would have breakfast with them every day if I could. Robin (top) is a grandma several times over now with one on the way. Those grandchildren are incredibly lucky because she and Steve make great grandparents. Robin is a helper, and the older she’s gotten, the more I’ve watched her rise above any expectation anyone could ask of her. She has handled a lot of heavy emotional burdens with such poise and grace that I can only hope to do the same when it’s my turn. It’s no wonder Lance Hughes and Carol Hart – and the rest of us – love her so very much. I told her those shoulder blades are really just her wings tucked out of sight. My phone buzzed as I was driving home yesterday and there was Robin’s text, “I will be your invisible friend with wings sitting on your shoulder to guide you safely home. Safe travels my sweet sister. I Love you.” My heart is full. I can never have a bad life with all this love surrounding me. 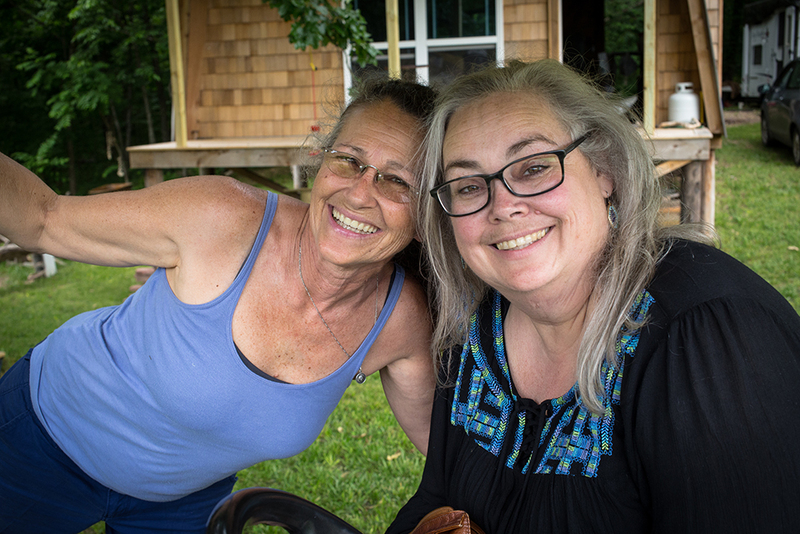 I got so lucky the day I met Pam Thurman and Barbara Plested. Lance introduced us, and frankly, as much as he bragged on them, he didn’t come close to just how incredible they are. 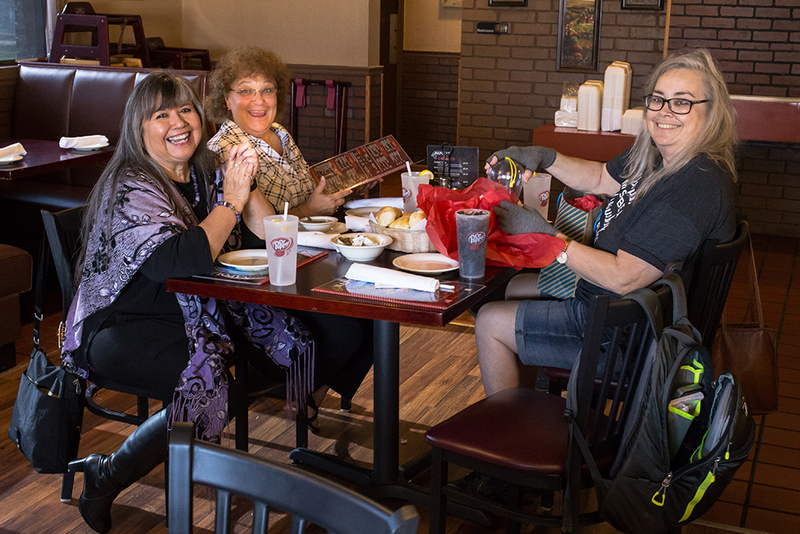 I got lucky again today when Angie and I managed to hook up with them for dinner as they were passing through Tahlequah on their way to their home in Grove. Barb and Pam make me laugh. Every time I see them we have big belly laughs. Today was no different, and throw Angie Bliss Fanning into the mix? Lordy! I just ask myself how I ever got so lucky at times like these. 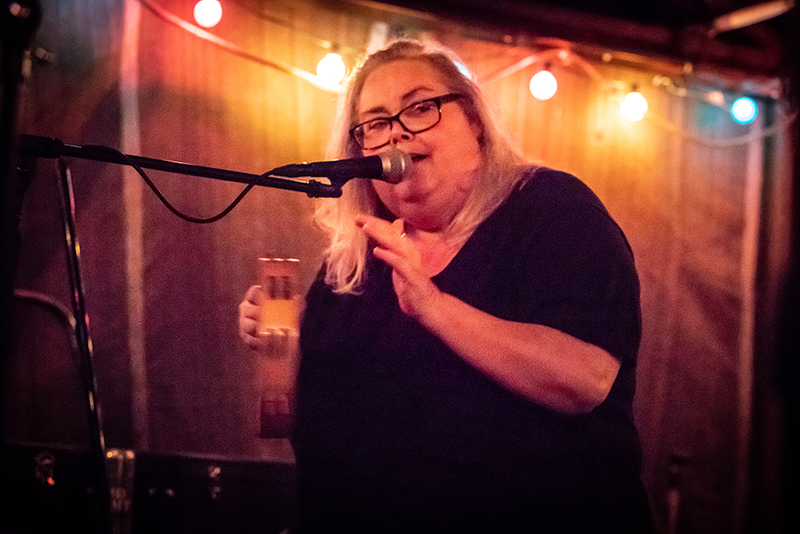 Pam is always plotting to get me back out here (to Oklahoma) permanently so I can join a band with the über-talented Scott Eastman. If she only knew how much I want to. In the meantime, I will continue to enjoy Pam, Barb, and Angie at every opportunity. They’re my favorite. Today was Angie Bliss Fanning’s 56th birthday. 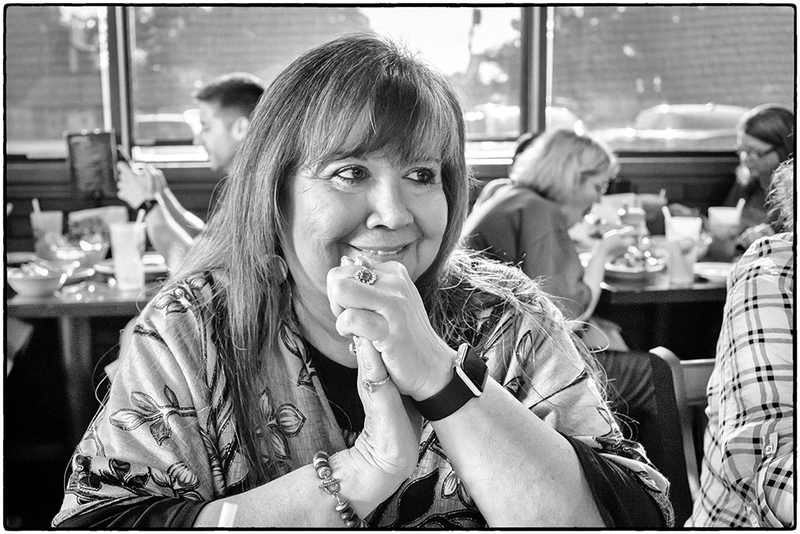 We started the day with breakfast with two of my favorite people; Angie’s mom, Joyce, and Diane Rickey (below). 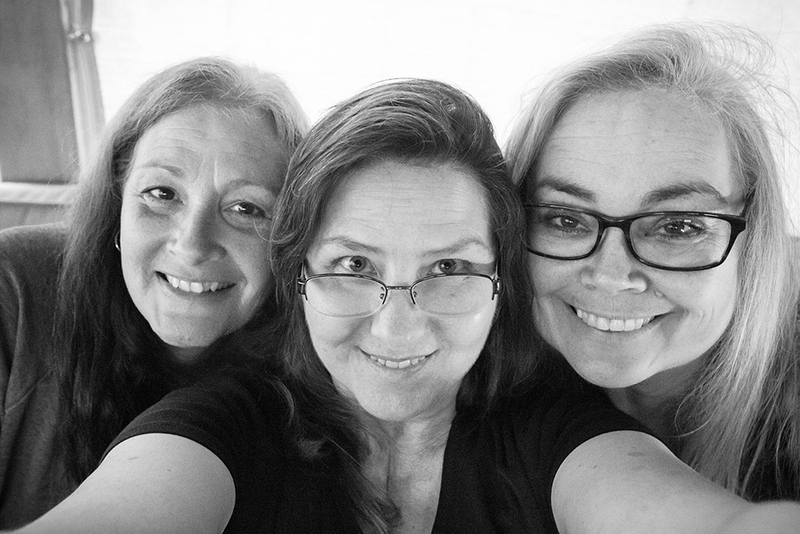 Ang and I and Diane, we’ve started a new tradition of a selfie of the three of us every time I visit. This is the second of the series (we did the first last year when Diane and I met). 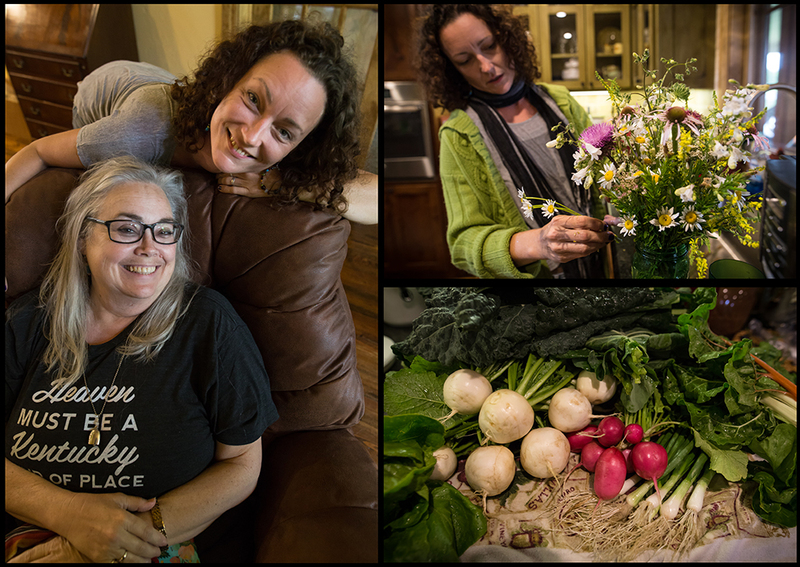 Then, in the evening, Kate Michael Gibson and her beaming smile came over with a car piled high with fresh veggies she and boyfriend Ben grew on their farm. She proceeded to whip them into a truly unforgettable meal. Angie and I, we didn’t like kale or turnips or radishes. After Katie worked her culinary magic, we both now like kale and turnips and radishes, at least when Katie makes them. It was an incredible gift to Angie – and to me – to have Katie pour so much love into a home cooked meal. 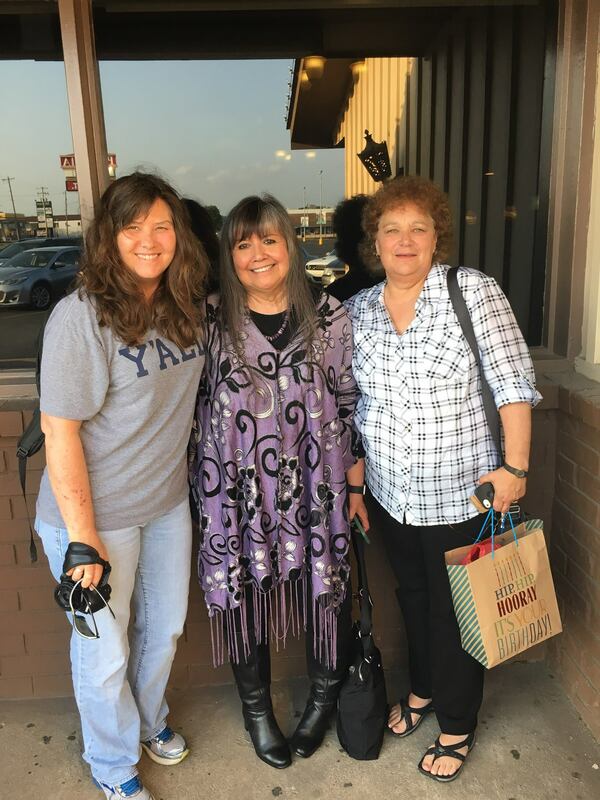 It was an incredible gift to Angie, and to me, to have breakfast with two gifted women. This day start to finish was a blessing for me. My BFF gets another trip around the sun, and I got to spend it with her and three other beautiful souls. I’m so proud of all of them. Their trials and tribulations are as individual as they are, and yet they forge ahead and remain sweet spirited. They inspire me. 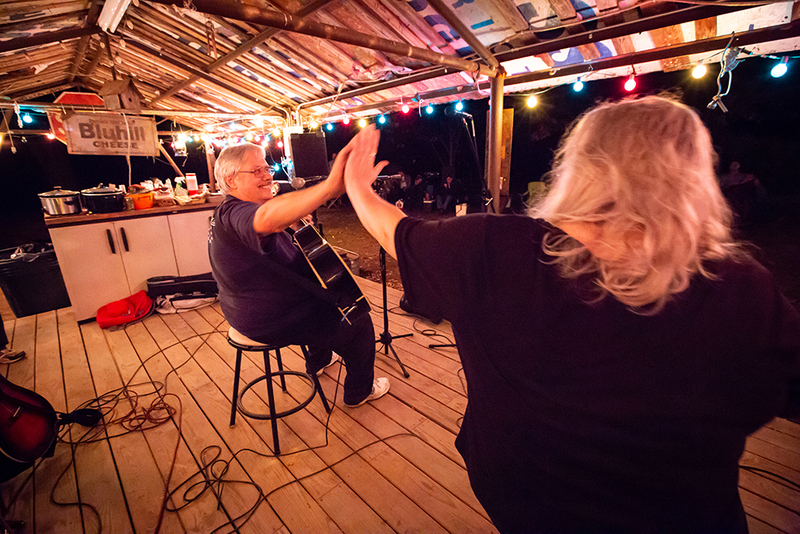 I made my way from Ellen Fagala in Little Rock to Angie Bliss Fanning at the 2 Pony Ranch in Tahlequah, Oklahoma. It was my first look at the ranch without the iconic red house. It was a bit jarring, but I was expecting that. 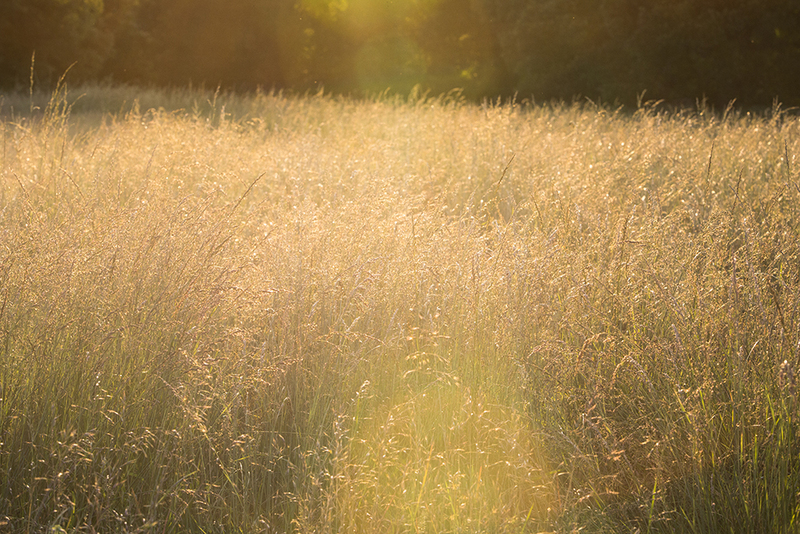 Near the golden hour, Ang and I hopped in the golf cart and made a pass around the Ranch where the pasture land is being prepped for hay harvest. Earlier in the day I’d taken out the garbage, and immediately found myself staring at the grassless square where the old house sat. 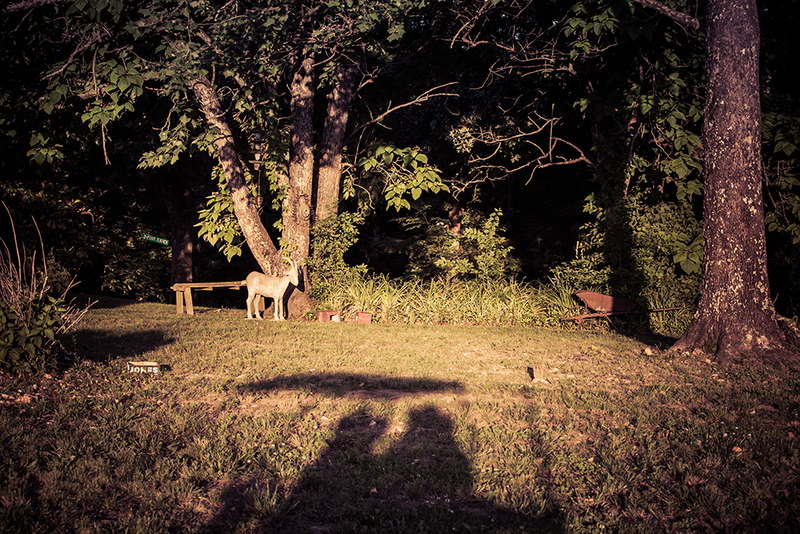 I retraced the lines of the old sidewalk; imagined the bay window, it’s underpinning provided a makeshift dog house for Foster, Sadie’s baby-daddy; the now fully visible Sycamore tree, it’s limbs once low enough to touch Angie’s upper bedroom deck. My eyes welled with tears. In that empty square I replayed significant events of my life. I didn’t battle tears of sadness, but I smiled through tears of a most sincere gratitude. I wouldn’t trade a second of my life for the joy I’ve found at the 2 Pony Ranch.